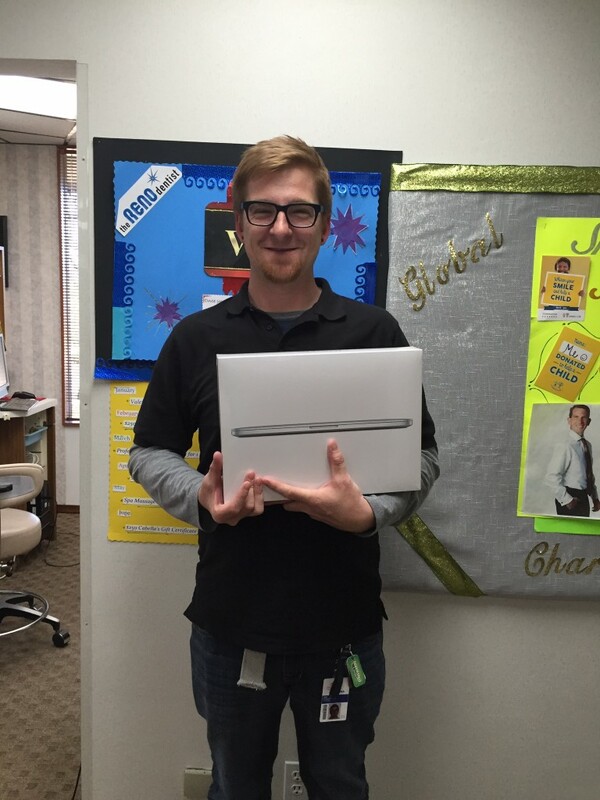 WE GAVE AWAY A MACBOOK PRO! WHO IS THE LUCKY WINNER, YOU ASK? How did he win? We give away quarterly gifts in our practice to say thank you to our amazing patients! Just send your friends and family or leave us a testimonial and gain entries into the drawings to win!